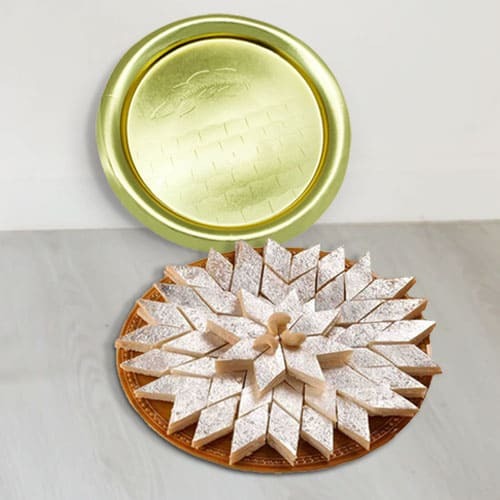 Give Surprise to the sweet lovers by sending our 1/2 Kg (Gross Weight) Kaju Katli from Haldirams with Golden Plated Thali. Delivery time 1-2 days depending on location. ( No delivery on Sunday/Holiday ).